Maharashtra has 48 minor ports spread over a distance of 720 km. of sea coast. It is the most industrialized state in the country. The completion of Konkan Railway along the West coast from Mumbai to Mangalore has added further impetus for the development of the coastal area. The Government of Maharashtra has selected seven sites from the 48 minor ports for development of port facilities in the first phase of the program. They are Vadhavan, Dighi, Dabhol, Jaigad, Ganeshpule, Redi and Vijaydurg. All these sites have adequate natural depth and a fairly protected area for developing port facilities. They have adequate land available for construction of storage areas warehouses or industrial parks. Picture of Shri Rameshwar Temple, Vengurla. In the naturally rich & beautiful Konkan Region of Maharashtra , lies the Sindhudurg district near the Goa border with a total area of about 5207 Sq. Km and has about 743 villages.The nearest airport is at Dabolim-GOA. Just few years back ,it has been declared as a Tourist District by the Government. It is situated on the south-west coast line of Maharashtra. & surrounded by Arabian Sea on the west.On the east are the ranges of Sahyadri. Towards the north is the Ratnagiri district , while Goa is towards its south. Sindhudurg has a huge coastal line of approx. 121 kms.National Highway 17 passes through this area. With 7 railway stations, a 105 Km stretch of Konkan Railway line passes through this district. It has good road and rail links with Goa and Mumbai.There are 8 Tehsils (Talukas ) in this district namely ---Devgad ,Vaibhavwadi ,Kankavli ,Malwan , Kudal ,Vengurla, Dodamarg & Sawantwadi .Seven rivers flow in this district . 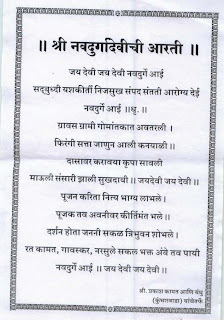 Important rivers are 1) Terekhol 2) Gad 3) Devgad 4) Karli 5) Vaghotan. In & around Vengurla ,there are lot many places to see like its clean & beautiful Sea-shore , Sagareshwar (Shiva)Temple , which is built in the Sands , Shri Mauli Devi Temple at Shiroda & Redi , Shri Navadurga Temple ,Shri Redi Ganesh Temple (with only two hands) , Shri RamPurush Temple & Swayambhoo Shiva Temple at Redi . Also Shri Vetoba & Shri Sateri Devi Temple at Aaravali-Shiroda , the Shiroda Sea-shore ,and Shri Vetaleshwar Temple at Ajgaon are worth visiting among the others. Aryadurga at Kankavli , Dist. Sindhudurg ,Maharashtra. Aryadurga at Hasol ,near Rajapur,Dist. Ratnagiri,Maharashtra. Shantadurga at Kavale, Ponda ,Goa. Shantadurga Mauli at Warkhand,Pernem ,Goa. Shantadurga Shankhwaleshwari at Veling, Goa. Shantadurga Talavalikarin at Marcela (Mashel) ,Ponda, Goa. Shantadurga Velrlekarin at Marcela ,Ponda, Goa. Shantadurga Kumbharjuvekarin at Marcela ,Ponda, Goa. 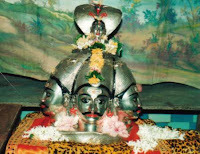 Shantadurga Phatarpekarin,Phatarpe ,(19 kms from Madgaon), Goa. Shantadurga at Amona ,Bicholim Goa. Shantadurga at Calapur,St. cruz, Goa. Shantadurga at Nerul, Bardez, Goa. Shantadurga Chamundeshwari Kudtari Mahamaya at Qupe,Goa. Shantadurga at Dhargal,Pernem , Goa. Shashti Shantadurga ,Dongri ,Old Goa. Durga Parmeshwari Temple ,Malpe ,Karnatak. Shri Durga Devi Temple , T.D. Road , Ernakulam ,Kerala. Tulasi Durga Temple , Cochin , Kerala. Vana Durga Temple , Cochin , Kerala. Shri Durga Temple , Varapuzha, Kerala. Durgadevi Mandir ,Velas,45 km from Dapoli,Ratnagiri District,Maharashtra.